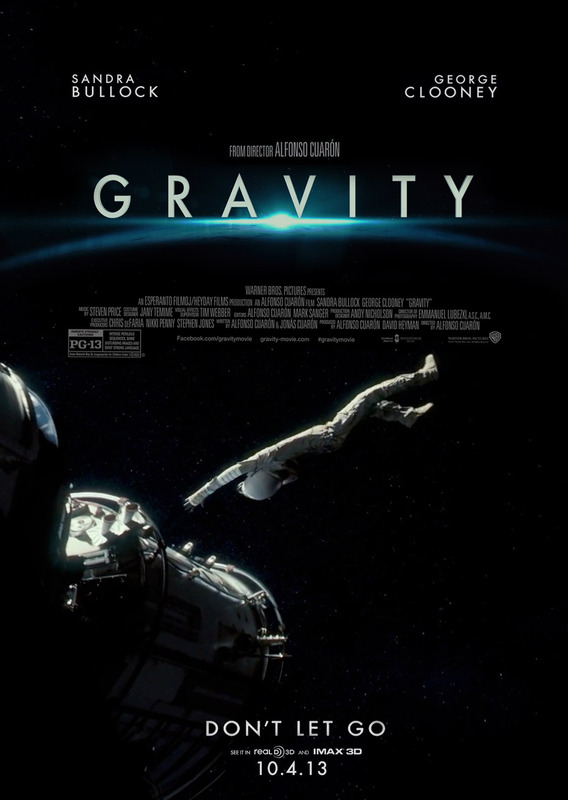 A review of the film Gravity and examination of scary fiction. Gravity combines scary and beautiful in ways I’ve never seen. That the director is able to keep his characters dangling in the abyss the entire length of the film without straining the audience’s suspension of disbelief is, certainly, a sign that Alfonso Cuaron is very good at developing story. While Sandra Bullock’s very strong performance is surely a part, I couldn’t help wondering about the exact mechanisms Mr. Cuaron used to hook me so thoroughly. (It wasn’t just me, a quick look at the audience during the second satellite debris scene revealed a theater full of very frightened, completely absorbed movie goers.) To do that, I first have to examine how normal horror and thriller films achieve their scares. The three most common answers I came up with are, ranging from most to least effective, invasion, decay and gore. 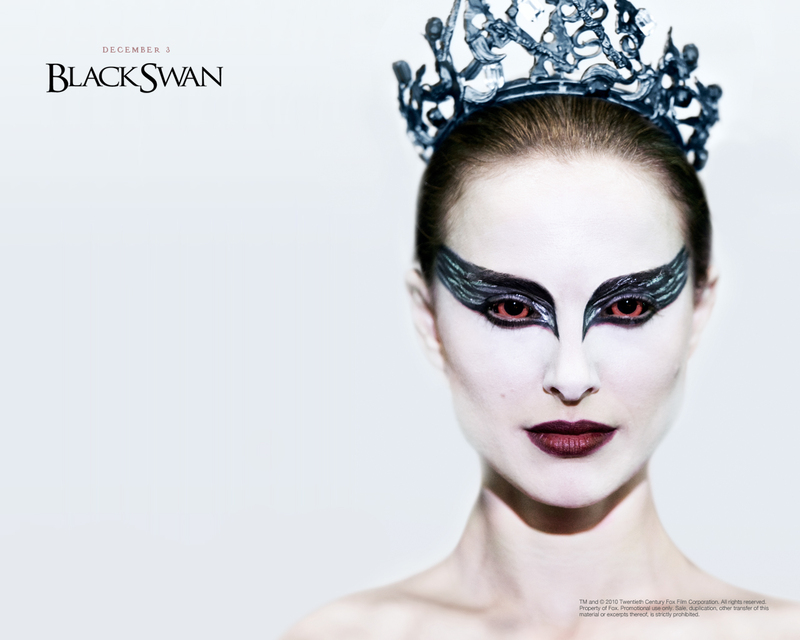 For an example of invasion, I would point to the eponymous Black Swan corrupting and erasing more and more of Nina’s already uncertain sanity in Darren Aronofsky’s Oscar-winning example of invasion horror. For a less successful but more famous instance, look no farther than Ridley Scott’s chest-bursters. In both cases, the fear comes from the loss of self – the transformation of “me” into either a monster or an incubus of monsters. For decay, I would point to films like No Country for Old Men and the Harry Potter series. As opposed to the corruption of self, these films deal with the corruption of the environment. Voldemort, in a not very creative example, is threatening to plunge the world into dystopia. More effectively, Anton Chigurh represents, by turn, the death of order, the end of reason, the impotence of innocence against evil. Gore is just what it says on the tin. Generally the territory of crap movies like Saw, gore can be effective if combined with invasion or decay tropes as in Silence of the Lambs or Red Dragon. Actually, Hannibal Lecter is a threat to corrupt by invasion (hello Clarice), through decay (On a similar note I must confess to you, I’m giving very serious thought… to eating your wife) or through simply making you into a bloody mess, which is probably why he’s such an enduring villain. Gravity inverts and subverts invasion with a creativity startling in its scope. I’ve never seen a movie less likely to induce claustrophobia. The first satellite debris scene takes place on a scale of tens of thousands of miles. The first drifting sequence, with Ms. Bolluck silhouetted against stars, spinning and freshly severed from radio contact, ponders death in an arena light-years across. Indeed, the biggest pollution in this relentlessly sterilized, brutally clean – not to mention gorgeous – movie is the main character’s cynical, fragile desperation. In her climactic scene, the character’s decrepit attitudes toward death and renewal literally burn up in the atmosphere. It’s fear by expulsion – expulsion from the space shuttle, expulsion from the International Space Station, expulsion from the earth itself. In the arena of decay, Gravity again jukes left and spins right. Instead of Harry Potter’s dark and dusty corners, in this film even the space debris is made from polished titanium and gold plating. Earth’s atmosphere, forever threatening to cook our protagonist, inspires awe and silence with its beauty. Gravity’s take on Saudi Arabia and China, so petro-fueled and dirty in reality, made me wonder what Michelangelo would have done to the Sistine Chapel had computer graphics been available a few centuries earlier. The only thing remotely corrupted is the main character’s inability to let go of old tragedies. Gore gets perhaps the biggest subversion of them all. For a movie with so much death, Ms. Bolluck’s tiny scrape on the forehead represents the entirety of Gravity’s blood. When we see the remains of Dr. Sharif, who gets a solar panel between the eyes within the first ten minutes, we view death of a clinical, alien sort. He is not defiled, he is not a mess, there’s simply a chunk of him missing. 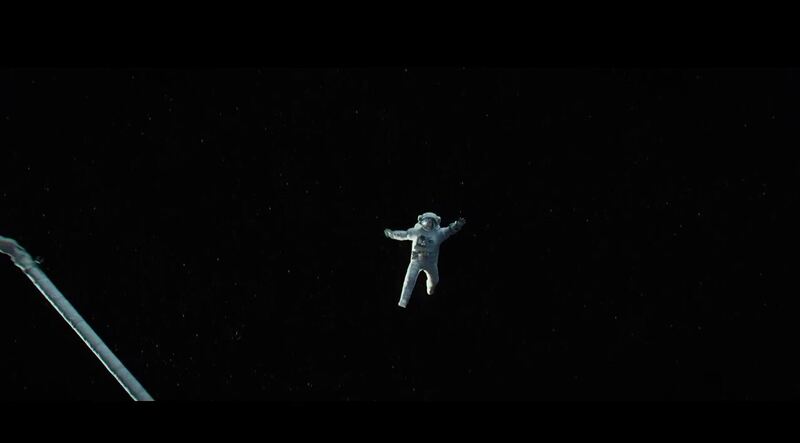 Gravity also does amazing work with disorientation, all the spinning and drifting that covers most of the action scenes. The unsentimental, understated and very frightening way space seems defined by impact and recoil Still, I cannot help but think the real reason this movie thrills so well comes down to scale. We humans are so, so tiny. Please follow my blog if you enjoyed this article.